It's not just the Big 3 U.S. automakers that are struggling. 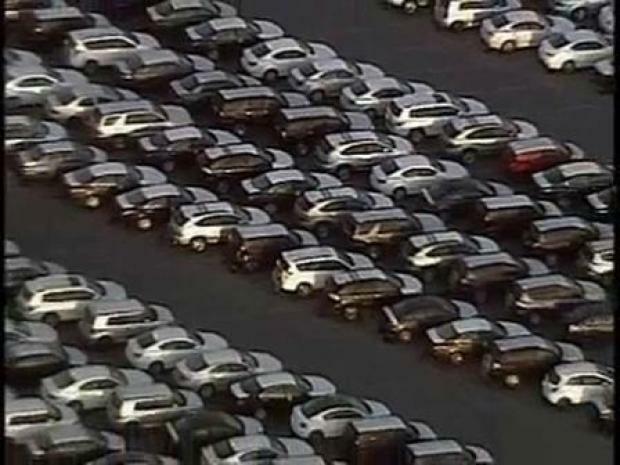 Foreign cars aren't selling as well either and that's turning the Port of Long Beach into a massive parking lot. 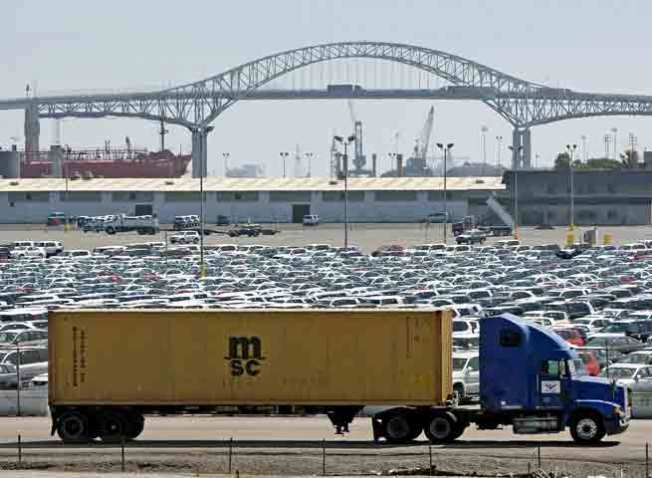 When foreign cars arrive at the nation's second largest port, they're usually loaded onto trucks and immediately delivered to dealerships across the country, but that's not happening now. Dealers can't sell the cars they have, much less any new supply. Mercedes, Toyota and Nissan are all renting storage space from the port. Thousands of brand new foreign cars worth tens of millions of dollars are simply collecting dust. Richard Steike, Executive Director of the Port of Long Beach says, "right now it's just a month to month tenancy they're asking for. Hopefully, they'll move the cars to the dealers and get them sold quickly." It's not likely it will happen as quickly as some would hope. Toyota is already leasing 150 acres for storage at the port and the auto maker has just asked for more. At Alhambra Nissan, General Manager Douglas Bravo says he can't complain. Out of the nearly 60 Nissan dealerships in Southern California, his is one of about 5 that made a profit last month. "I just believe when times are tough, you have to put forth more effort to compensate," he says. The backlog of cars makes it easier for Bravo to get the exact cars his clients want, but that's little consolation to the other dealers in the area who have seen their sales drop by half. Orphaned Mercedes, Toyotas and Nissans turn the Port of Long Beach into an expensive parking lot. Car buyer, Herbert Holt says, "I wish something could be done to help the auto industry," but he's also ready to take advantage of the dealers' eagerness to make a sale. For the first time in his life, Holt bought a foreign car. He was lured by the low prices and by the fear that the Big 3 U.S. automakers might not be around long enough to service his new car. "We're unsure what's going to happen within the next month or so. If they're going to go bankrupt, we didn't want to take a chance with warranties, says Holt's daughter, Regina Holt. They walked off the lot with a new Nissan Sentra.